4k00:06BANGKOK, THAILAND - November 30, 2018: Show colorful fountain like dancing at night , Near the Chao Phraya River and The city is the background. 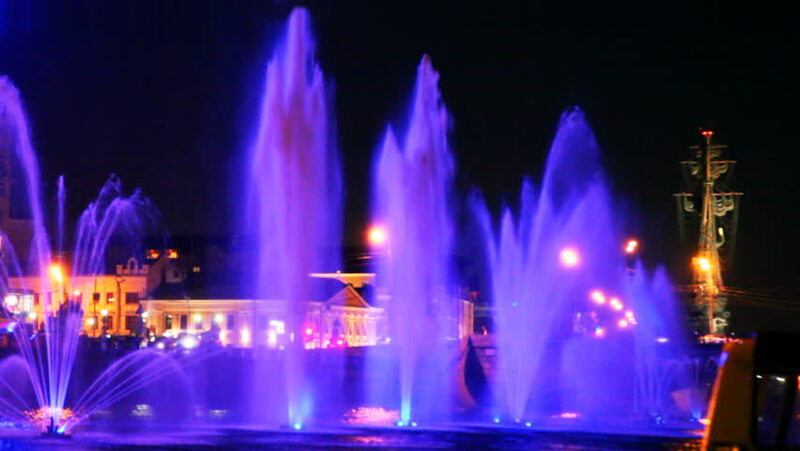 hd00:26Colorful fountain of water at night. hd00:28PLOVDIV, BULGARIA - JANUARY 11, 2019 - Aerial view of the light show rehearsal for the European Capital of Culture - Plovdiv 2019.
hd00:14Reflection of a fountain in the river. Beautiful fountain in the night. Night, fountain, river, season, reflection, city. hd00:30Singapore - April 26, 2018: Spectra show of dancing fountains: Light and Water Show at Marina Bay Sands. Central Business District on background.The laser show is a popular attraction of Singapore.